Home / Uncategorized / Engagement? What engagement? 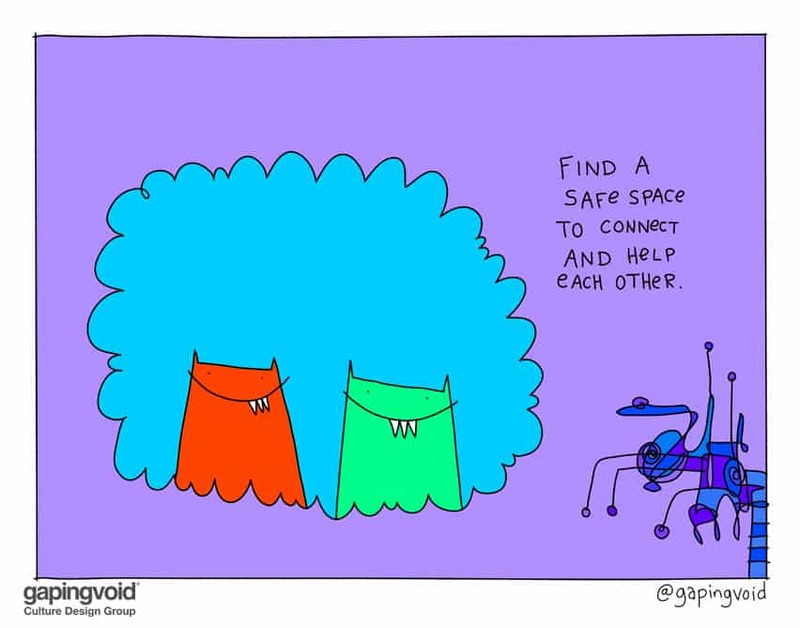 As you know, a lot of the art we do at Gapingvoid is for the “Employment Engagement” side of our clients’ business. That’s a good thing. 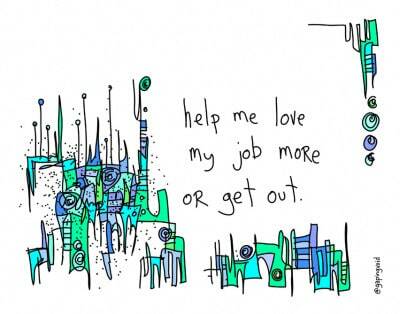 Helping people to hate their jobs less (or love their jobs more, depending on your perspective) is time well spent. According to Gallup, only 13% of American workers are engaged with their jobs. I’ve seen other figures say similar things, namely, 80% of people don’t care for their jobs very much. We could argue the exact numbers, but we can all agree that the cost to industry is high. According to Gallup, employee disengagement in the US is costing business $550 billion a year. We don’t have all the answers, nobody does. But it’s a huge opportunity. 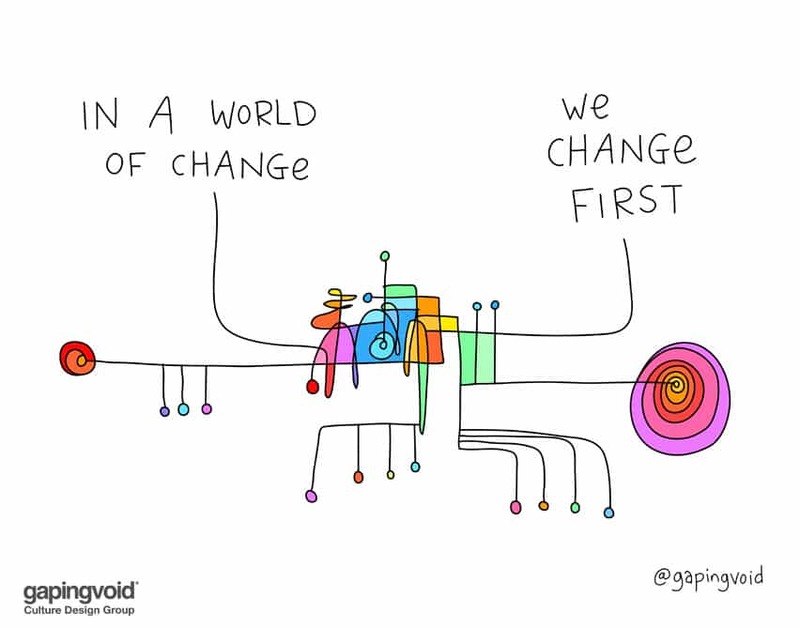 More than that, it’s something that big companies need to pay more attention to, if they’re to survive the next few decades. A company full of people who hate their lives will not be be to compete with a company whose people look forward to coming to work every day. The rules have changed. 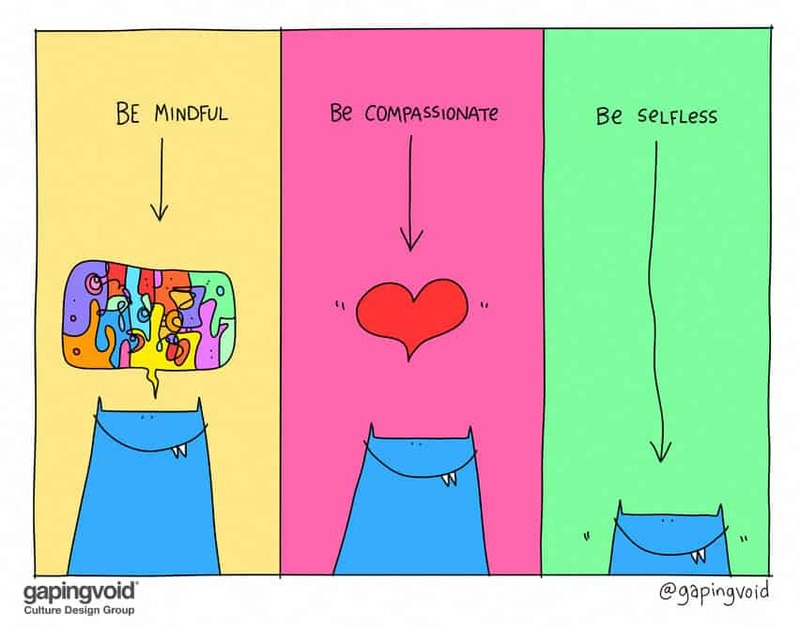 (Bonus link: How to engage employees).